What Are The Building Code Requirements For Metal Buildings? As someone considering purchasing a pre-engineered steel building kit, you may have questions about whether your building will need to conform to any particular building code requirements when you erect it. The short answer is, yes, you do need to make sure your building will adhere to any county or state building code and zoning regulations currently in place at your jobsite, but you do not need to let that scare you away from purchasing one. Building codes are designed and enforced by local officials to ensure the safety and security of its occupants. At Sunward Steel, we have a comprehensive understanding of what it takes to conform to building code requirements, that you request, across North America, and we can help you ensure that your metal building, regardless of its intended use, adheres to any requested code requirements currently in place in your area. We hear the question “What is the average cost of a steel building?” time and time again. While one might think this is easy to answer, they may not realize that there are several factors contributing to the cost of a steel building; local codes being a main driving force in the final price. Local building departments enforce code requirements for buildings such as wind speed, snow loads, and seismic activity. These codes can impact the structural components of the building, in turn effecting the overall price. Collateral loads (what you hang from your ceiling, such as sprinkler systems) and local energy codes (for insulation) can also effect the cost. Below is an example of the same building, in 4 different geographical areas, with different local codes. 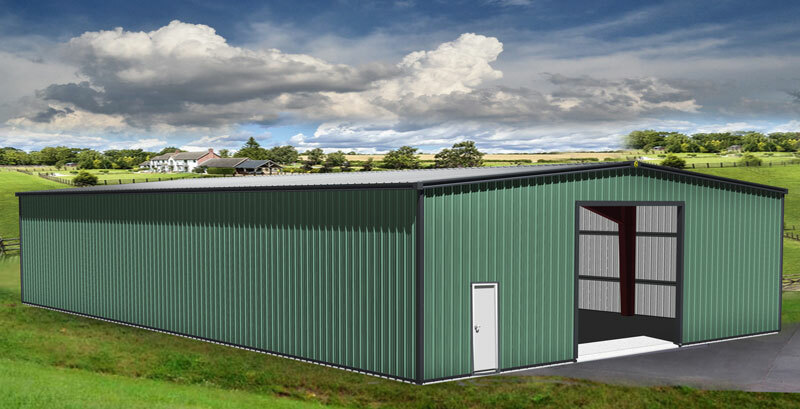 When you wish to erect a metal building on a specific site for a particular purpose, you need to first find out whether your desired site is zoned appropriately for your intended use. More specifically, you need to check with your local government agency to find out whether your build site is zoned for a certain type of use, such as commercial, residential, mixed-use or what have you, and whether the zoning at your build site is in line with your construction plans. Once you determine that your build site is, in fact, zoned appropriately, you will need to find out what site specific building codes are currently in place in your area so that you can make sure your prefabricated structure adheres to them. Building codes vary from city to city and region to region, but they typically set guidelines for builders that are respective to the surrounding landscape and climate. For example, buildings constructed in coastal locations prone to hurricane activity typically need high wind speed ratings, while buildings constructed in areas prone to heavy snowfall typically need structures with high snow loads. The elevation of your property or build site also determines the required code. While building codes, at their core, seek to prevent injuries and fatalities that inferior construction can cause, there are numerous other reasons your building needs to comply with them. For starters, if you ever wish to sell your building, you will likely have a very difficult time if it doesn’t comply with code requirements. Furthermore, anyone who wishes to purchase your pre-engineered steel building will likely have a hard time securing a loan to do so. You also run the risk of facing substantial fines and penalties for failing to adhere to local building codes, and you may also have to make expensive adjustments or additions to your building to make it suitable for your building use (e.g. collateral loads and energy codes). In summary, yes, we strongly recommend that you make sure that your building adheres to local building codes before you raise it at your build site, as failing to do so can lead to considerable trouble and expense down the line.